A black and white photograph of the Smith house. This home was located at 721 Dundas Street West. 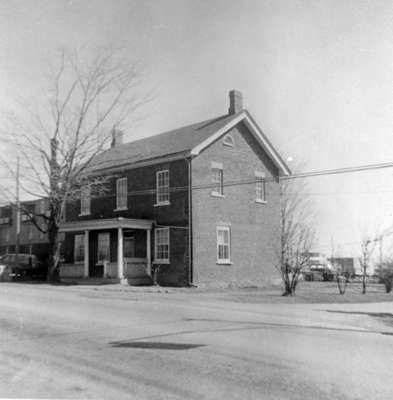 This brick house dating from the 1850s, was located on the south east corner of Dundas Street and Annes Street. It was demolished in 1972, to make way for the widening of Dundas Street. Smith House, 1969, Brian Winter. Whitby Archives 17_083_002.